One of my favorite food nerds (even by his own admission) is the well-known Food Nertwork TV host, Alton Brown. One part chef, one part "Bill Nye the Science Guy" of the kitchen, he's also well-known for his disdain toward spending money on "unitaskers" and other kitchen gadgets, when you can just as easily (and far more cheaply) get by with what's around the house. In any case, over at the Gizmodo Gadget Blog this week, from stick blenders to melon ballers, Alton gives a detailed rundown on the kitchen aids he feels are useful, and those that are a waste of time, as well as your money. And topping his list of time wasters, are two of my own personal pet peeves -- as well. • I don't have a lot of reasons for a regular ice cream maker. Good continuous-churn models are expensive, $800 to $1000. Frozen core models are messy—you have to store them in the freezer, and you're always losing parts. I don't have any great need for that. If I didn't have access to liquid nitrogen, maybe I would. Maybe I could use one for something other than ice cream that I haven't thought up yet. • There is absolutely no reason for a garlic press to exist. It is utterly completely magnificently useless. 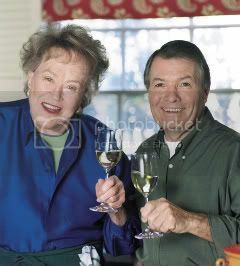 With all the recent success of the fantastic new movie, Julie and Julia, featuring Meryl Streep as my goddess, the late great Julia Child, I just want to remind all of you that one of the greatest "pairings" of chefs was the match up between Julia Child and master French chef Jacques Pépin. And along these same lines, a simply must-have for your cookbook shelf is Cooking at Home by Jacques and Julia. 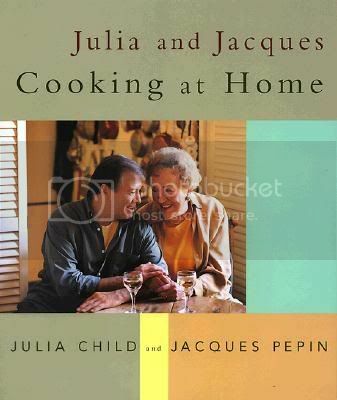 The book, released in 1999 was (and is) the companion volume to Julia Child and Jacques Pépin's PBS TV series of the same name. "The only key to your weight issues...is choosing your grandparents more carefully." And check out the absolutely sinful mashed white and orange (sweet) potatoes she and Jacques whip up toward the end of this video clip. And yes, the summer so far...has been great. Barbeque, barbeque, and more barbeque... 'nuff said. Wildwood Barbeque here in beautiful downtown NYC, you ROCK. Talk about getting totally sauced? Yowsa! But now that I'm back check this one out. Ripe for my "Come on…Are You Kdding Me?" file, is this recent happening from the good folks (or should I say fast food Nazis…er, um…"engineers") at a local Burger King in St. Louis, Missouri. It seems that like most restaurants, the Burger King in a St. Louis suburb has a no shoes, no shirt, no service policy. And baby, do they enforce it. Too much so, the company admitted, after apologizing for restaurant workers who asked a mother to leave because her 6-month-old wasn't wearing shoes. Jennifer Frederich, her mother and Frederich's infant daughter, Kaylin, stopped at the Burger King in Sunset Hills on Sunday. The baby was shoeless - Frederich figured tiny baby feet were immune from the rule. But workers told the family to leave because the shoeless baby was violating a health code. In fact, shoelessness is not a health code violation in St. Louis County. Frederich told KTVI-TV that she and her mother ate hurriedly and left before they could be kicked out. 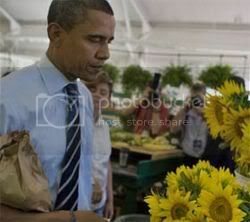 Frederich did not have a listed phone number, and The Associated Press could not reach her for comment. 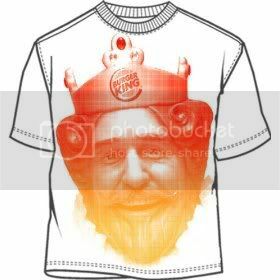 Burger King released a statement Thursday indicating workers had taken the no shoes, no service policy too far.